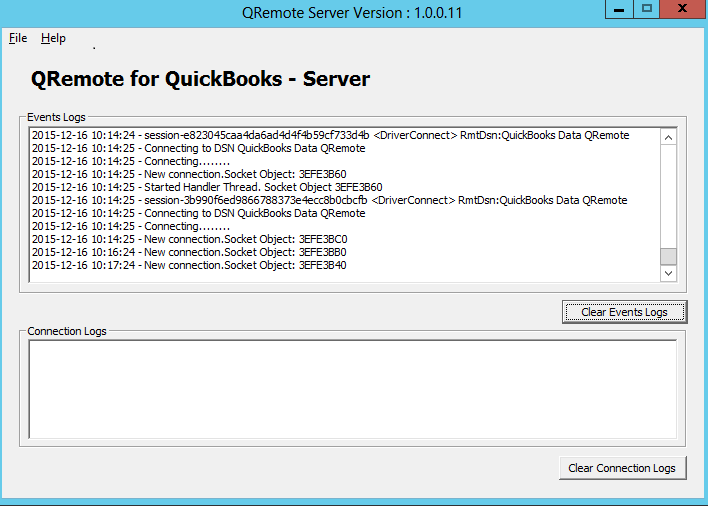 I am using QRemote DSN to connect to QuickBooks. QODBC/QRemote tries to connect for 2 minutes over and over, says it has a connection but does nothing. I tried the VB Demo program but it just freezes. There might be some issue with QRemote configuration due to this issue happen.